I was born 1967 in Stockholm. I grew up in the small village Vågdalen in the middle of the big forests in north Sweden. In 1989 I moved to the city of Umeå to study Computer Science at University of Umeå and 1995 I moved to the Netherlands where I live in Almere not far from Amsterdam. Although I have a unique name are there a number of Jens Malmgren´s in the world but as far as I am aware of I am the only Jens Malmgren living in the Netherlands. I speak Swedish, Dutch and English. Occasionally it is Swedish, Zwederlands and Swenglish. Drawing was my first medium. I have been painting aquarelles on and off since my early teenage. During 2009 I started painting acrylic and then 2010 I started to paint with oil. 2011 I bought a camera and started with photography as well. Sometimes I create ceramic statues or I work with paper. I also play folk music from time to time. Jens Google+ page Some of my photography can be found here. Jens Flickr photostream The rest of my photos are found here. Jens Pinterest page I use pinterest to collect pins of things interesting me. For example possible portraits I would like to paint one day. Jens Twitter Page If you would like to interact with me then this is the place to meet me. You can send me message through this blog site as well. My youtube movies Occasionally I publish a YouTube movie. My soundcloud page This is for my music. I produce house music with FL Studio. Every two or three months I publish a new sone. Jens Instagram page On this page I post my art while working on it. Jens on devian art I must say this is a not a very active page. All image material on this blog is Copyright © of Jens Malmgren unless something else is specified. Inventions and patterns on this site are public domain in such way that you may use them for non profit purposes or your own personal use. You may publish images and stories of your own work based on my inventions as long as you mention my name and a link to this blog. You are not allowed to register patents based on my inventions. 1967, Born in Stockholm, Sweden. 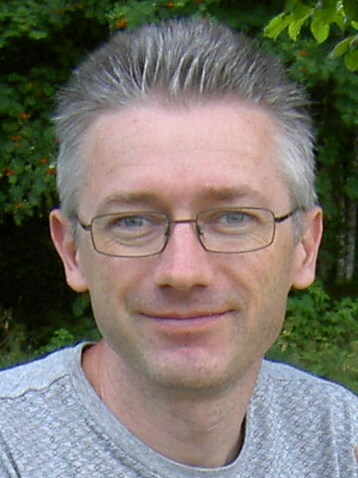 1989, Studied Computer Science at Umeå University, Sweden. 1995, Moved to the Netherlands. 2007, Joined Aquarelmere in Almere. 2010, Started at de Stoker in Amsterdam on Sundays. 2011, Started blogging with Blogger followed by BlogEngine.NET. 2012, Started producing music with FL Studio. 2015, Started creating my own blog engine.